I had a conversation a few nights ago with a fellow horror author, and the power of slow builds came up. It’s hard to frighten someone with the written word. While I will pound the table in defense of books as a superior art form to film, I humbly acknowledge horror films have huge advantages over horror books when it comes to generating true scares. Gifted direction, camera angles, musical score, and strong acting are some of the main advantages horror films have for frightening an audience. And although cliche’, the horror movie “jump scare” is almost impossible to replicate in printed form. So how do I scare readers? There are a myriad of strategies I implement when attempting to frighten a reader. The most important, by far, is characterization the reader can get behind. I want to create a character you can believe and make you care about the character. Then, once the character is placed into jeopardy, your natural reaction will be to become stressed. I may not have enough fuel in the tank to scare you yet, but I’m well on my way. Read a Stephen King novel. Or choose Dean Koontz, Clive Barker, Scott Nicholson, or any of the other excellent horror writers working today. Pay particular attention to the author’s pacing during a frightening scene. In most cases, the most successful horror authors use a slow build within a scene. Nothing is rushed. The horror broods and broods until you realize you’re trapped without an escape route. Look, I can’t come right out and show you the boogeyman. Maybe I could inside of a movie, but not with the written word. In order for me to frighten you I need to do everything right. And even then you won’t believe the boogeyman exists. But if I place you in that desolate room and make you hear the muffled rumble of the television through the floor, so that no matter how loud you scream, your parents won’t hear you, then I’m at least halfway home. Because once your closet door starts to creak open, and once those shadows start to spill into the bedroom like a black ocean, I need you to be that kid in the bed. And then if I do everything right, and if I catch you in a receptive mood, I might just chill you to the bone with the written word. Think about how expert directors like Hitchcock paced their scenes, allowing the disquiet to simmer before the monster was unleashed. 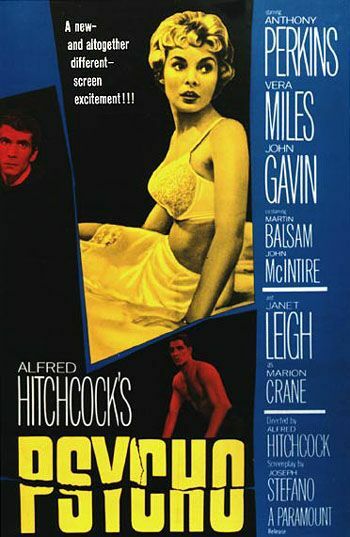 The shower scene of Psycho didn’t open with Norman Bates holding the knife. We followed Janet Leigh through the dingy motel room, watched her peel her clothes off and step into the shower, and saw from her perspective the spray cascading down. Think about how you would write this scene, if you were constructing a Psycho novelization. Two more excellent examples are the directions of Fred Walton’s When A Stranger Calls and When A Stranger Calls Back. The pacing of the brooding horror is tortuous. You cannot help but squirm as the babysitters are unknowingly stalked by madmen. In a bad slasher movie, the opening scene to When A Stranger Calls would last a few minutes. In Fred Walton’s direction, it lasts over twenty excruciating minutes in which the viewer is immersed in the creepy house. Do not under any circumstances allow your readers to run away before the monster gets them. Lure them in, then trap them. That’s what I did in Storberry. As authors of horror novels, it is important we slow down and allow our readers to immerse themselves in a scene. Slower is better. Go for a gradual build, and never rush the process. Writing for horror is incredibly challenging, and it is imperative we give ourselves every advantage. Take your time with the scene. Then scare Jessica to death. For everyone interested, here is the entire first scene to When A Stranger Calls. It is t-o-r-t-u-o-u-s. Pay attention to how the direction moves you around the set, slowly drawing you in.